Granite countertops have a lot of good characteristics. Yet, we hear stories that make it seem like cleaning your countertop is a full time job. Or like one drop of chemical cleaner will destroy your countertop. We are here to let you know that although granite is sensitive, it just needs a tad more care. 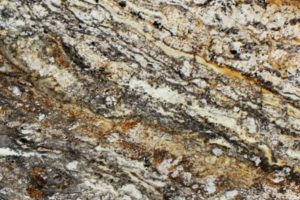 We have a blog on both granite and quartz countertops pros and cons if you want more detail. 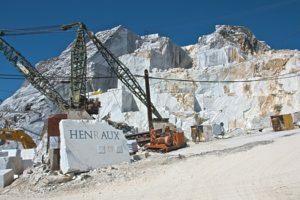 An essential step to maintaining fabulous granite is to seal it. 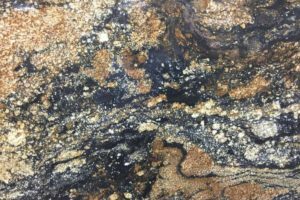 Unsealed granite soaks up liquids and is more prone to staining. The best way to check if your granite is sealed is to place a couple drops of water on it. If it beads up and stays on the surface your granite is sealed. If the water soaks into the stone, or disappears within a couple minutes, your granite needs sealing. Cleaners such as Windex, anything with bleach or ammonia, or home-made cleaners with vinegar, lemon or lime break down your sealant. In a pinch these can be used, but repeated use of harsh cleaners weaken and dull the sealant. The best way to wipe down your stone countertops is with a soft washcloth or microfiber cloth. Anything more abrasive like a dish sponge or steel wool will scratch your surface and break down your sealant. There are many cleaners on the market that claim to be “granite cleaners”. There are also many all-purpose cleaners that claim to be granite safe. Selecting a cleaner like this is based off personal preference. Yet, mixing your own cleaner ensures you know what ingredients are in it. We have included a recipe for a granite cleaner that is granite safe, and less expensive than granite-safe cleaners sold in stores. If you have questions about cleaning granite, or whether granite is the best choice for you, contact us. Dry with a microfiber cloth to avoid streaking: Dry and buff your granite countertop thoroughly with a microfiber cloth or soft terry cloth towel to avoid streaking. Make a water and isopropyl alcohol solution: To periodically disinfect your granite countertops, remove soap residue and restore shine, mix together a 50:50 solution of water and 91% isopropyl alcohol. Shine and disinfect: Spray the solution onto the granite, allow it to sit for 3-5 minutes, then rinse with water and dry with a clean microfiber cloth.